Silk flower walls with succulents and greenery make a great accent to an office. The natural colors blend with any decor. The greenery brings life indoors. They are great in lobbys, waiting rooms or even the c suite! Really, anywhere in an office, the succulent wall is a great addition! The succulents work well in retail stores and they’re great for a home office, too. 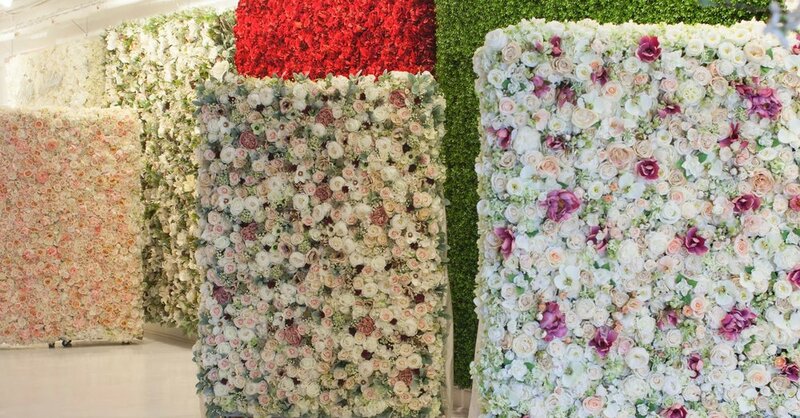 Small flower walls range from $5,000 - $6,000 depending on material. The small wall size is 6ft x 4ft.